Spring is finally making it's slow-as-molasses way to Minnesota. We are expecting sunshine and warm temps this weekend. Helllooooooo 70s! I am ready to get outside, wear a dress, and shave my legs (that is going to be a project, let me tell you). While at Target last night buying said mousetraps, I happened to pass this baby. I am CONSTANTLY talking about learning how to sew (and admiring Lisa's mad skills), and when I saw this, I yelled for C to come over. (OK, I might have screeched! I mean, it's MINT!) Cayla came over and was like, want to add it to the wedding registry? I figure, if it's easy enough for kids to use it, I can probably figure it out (and not sew my hands together), right? However, I don't think I can wait until October. So, I am finally coming out of hibernating season. We are on the 9th season of Friends (yes, we re-watched the whole series this winter and I have no shame). It's time for flowers, bike rides, beers on the patio, and puppy play dates. Ummm... I wouldn't say my sewing is at the "mad skills" level, but thanks :) That machine is darling! I looks un-intimidating too. Sorry about the mice, I'm with Cayla- I would be crying too, so good job to you! But YAY for nice temps! I hope you have some fun outdoor plans that involve bikes, patios, and beers. Now get to shavin'! Hooray for spring!!! I'm sorry about the mice - been there, done that girlfriend, it's not fun! 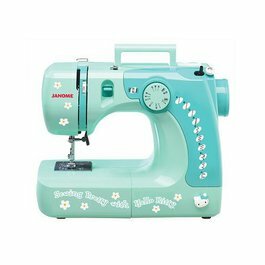 I think that sewing machine is adorable - I've always wanted to learn to sew too, let me know if you ever want to take a class together sometime, it could be fun! And I'm re-watching Friends too, but I'm on season 2! Anyway, it's spring, yay spring! That littles sewing machine is darling! Definitely much cuter than my 70s clunk I have sitting around that I have yet to put a new needle in! Eek mice! Bugs and snakes don't scare me, but there is just something about rodents that creep me out. Fingers crossed your traps do the trick! Have a good week darlin!